For the past couple of weeks, many students have collected canned goods for Tunstall’s annual canned food drive. This year they collected roughly 4,700 cans. The canned goods will be donated to the Pittsylvania County Community Service and the Pittsylvania County Food Bank. For many of the classes and clubs, it was a competition to see who can collect the most cans. From the three clubs that participated, Future Business Leaders of America collected the most number of cans. 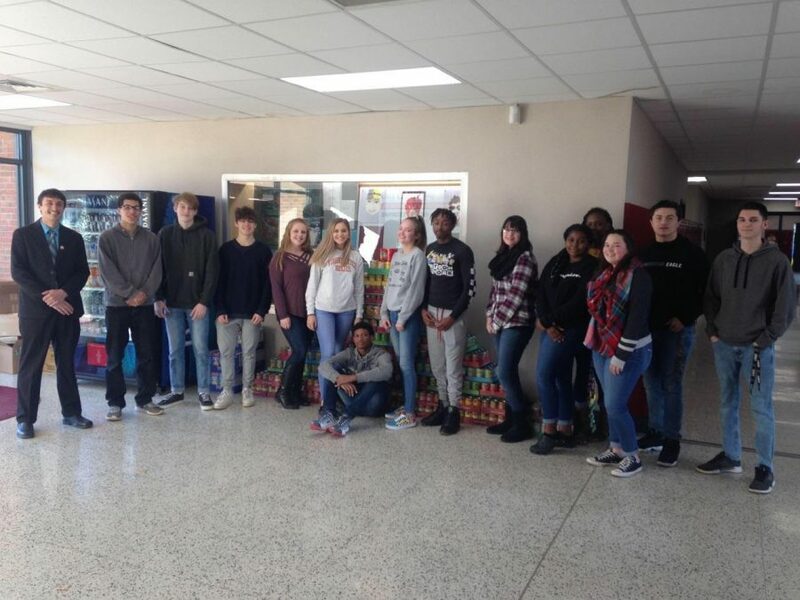 From the classes, Mrs. Kendra Hardy collected the most cans with 262. Mr. David Thaxton and Mr. Daniel Tittris joined together to collect over 2,000 cans. This is the fifth year that Mrs. Tara Mills has been in charge of the canned food drive. She holds it every year to help the community and get students motivated.